Kit is designed for use with Lokar's Floor Mount Emergency Hand Brake and in conjunction with Lokar's Connector Cables. 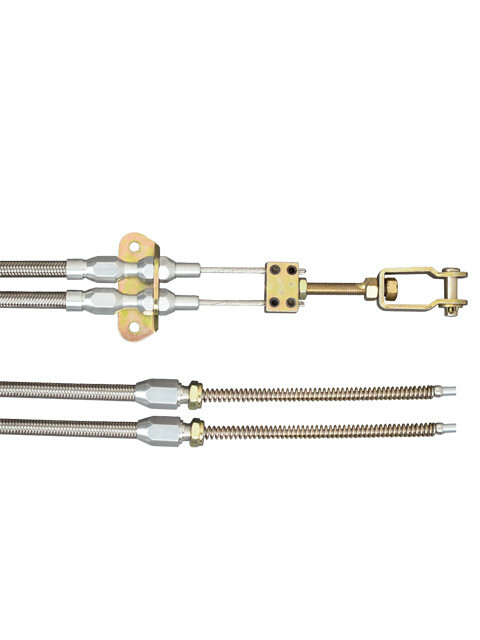 Kit comes equipped with quality one-piece aluminum adjusters and aluminum ferrule to eliminate fraying of stainless housing. Outer housing is designed with specially extruded liner for extended life of the cable. 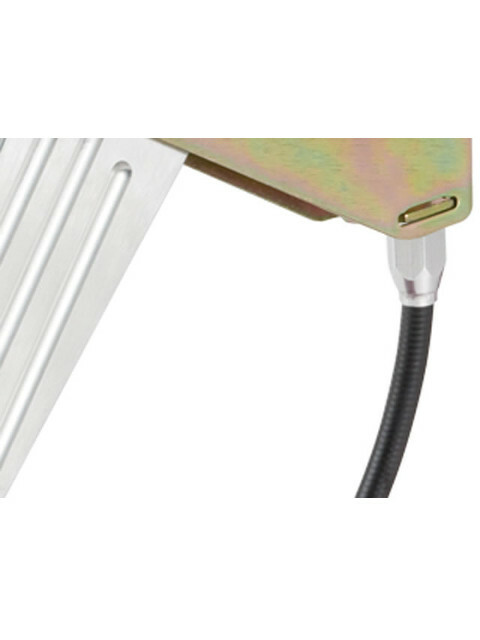 Stainless inner cable resists moisture. Design allows rear end backing plate fittings to be removed without removing brake cables. 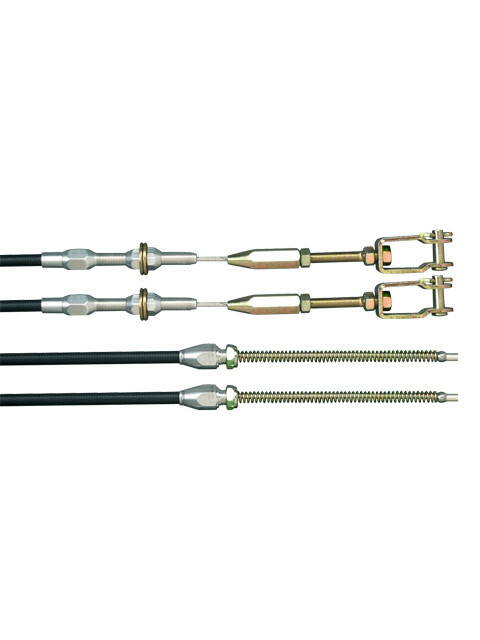 Lokar cables also feature adjustable cable lock and clevis. Kit is complete with cable bracket and spacers. Kit includes two 8 foot outer housings that "U-Cut-to-Fit" and are available in stainless or black housing. Applications: 8" and 9" Ford, Chevy, Chrysler and Lincoln Versailles drum and disc brakes. 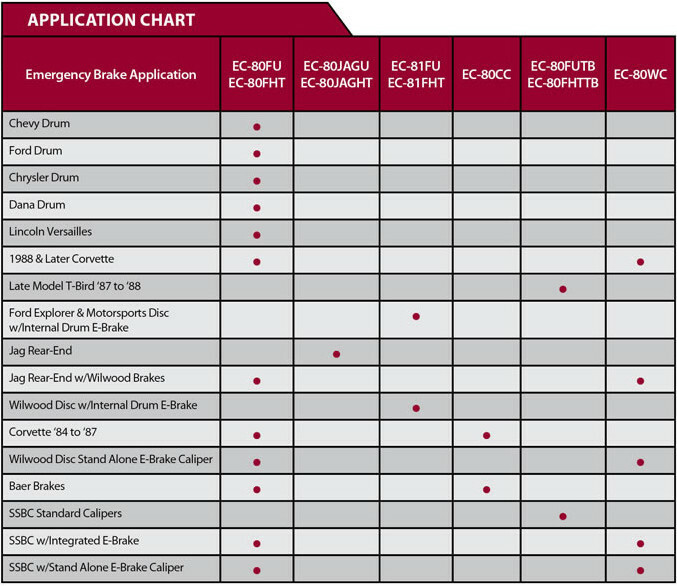 See chart for additional brake applications. Call for other applications or custom configurations. 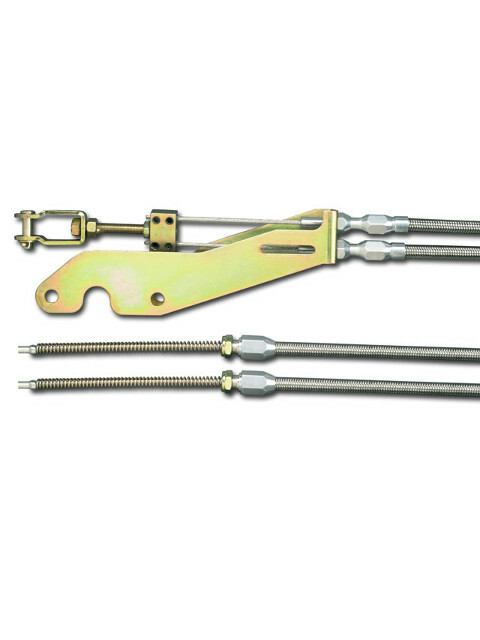 Transmount Cable Kit is designed for use with Lokar's Transmount Emergency Hand Brake and includes bracket for mounting cables to hand brake. Kit comes equipped with quality one-piece aluminum adjusters and aluminum ferrule to eliminate fraying of stainless housing. Outer housing is designed with specially extruded liner for extended life of the cable. Stainless steel inner cable resists moisture. Design allows rear end backing plate fittings to be removed withouth removing brake cables. 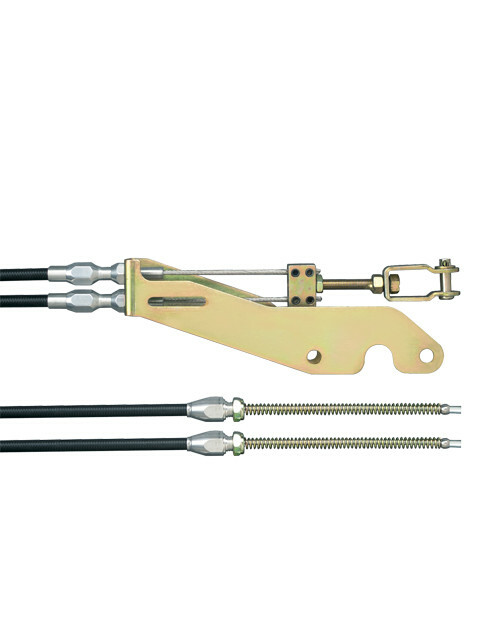 Lokar cables also feature adjustable cable lock and clevis. Kit includes two 8 foot outer housings that "U-Cut-to-Fit" and are available in stainless housing or black housing. 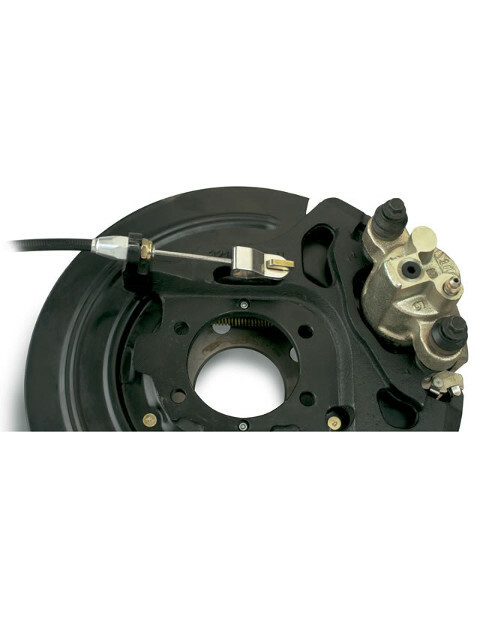 Application fits 8" and 9" Fords, Chevy, Chrysler and Lincoln Versailles drum and disc brakes. 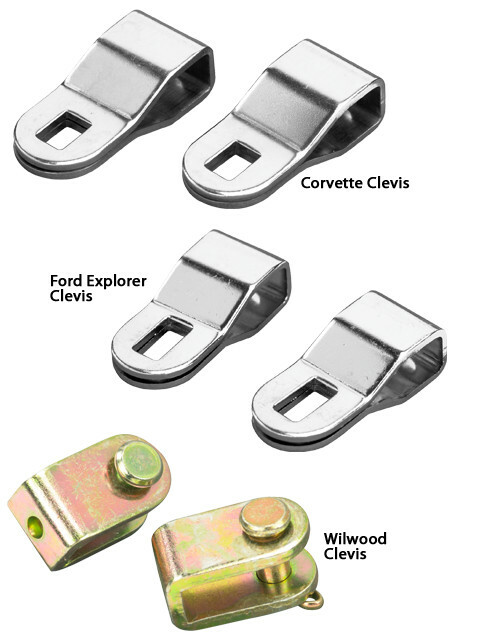 Brake Cable Kits for 1942 to 1954 Chevy Trucks. Cables mount from backing plates on rear end to original cross shaft chassis. Designed with specially extruded liner for extended life of the cable. Stainless inner cable resists moisture. Kit includes two 4 foot outer housings that "U-Cut-to-Fit" and are available in stainless housing or black housing. Design allows rear end backing plate fittings to be removed without removing brake cables. 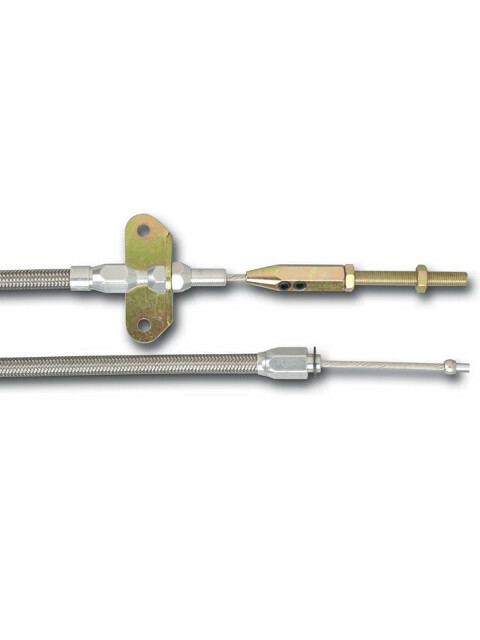 Lokar cables also feature two adjustable cable locks and clevis. Applications: 8" and 9" Ford, Chevy, Chrysler, and Lincoln Versailles drum and disc brakes. Also fits 1987 and earlier Corvette rears. 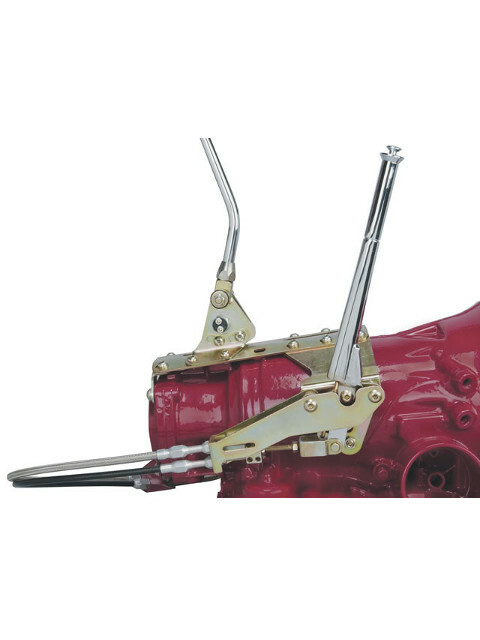 For 1988 or later Corvette and Wilwood disc brakes (with separate e-brake caliper), cables require a Wilwood Clevis Kit (sold separately). 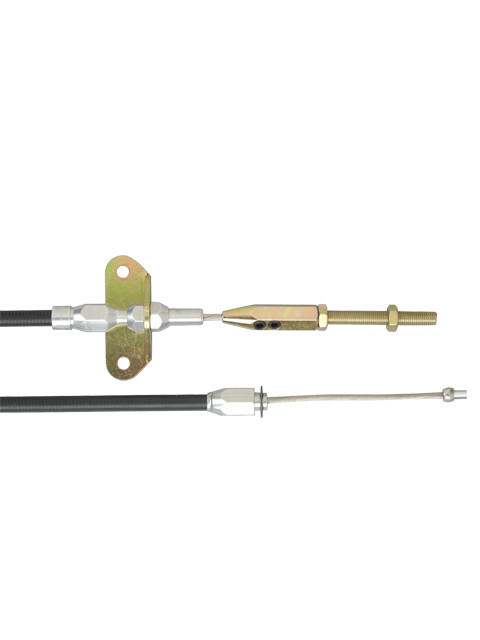 Lokar Connector Cables work in conjunction with Lokar's Universal Emergency Brake Cables and with stock under-the-dash hand brakes. 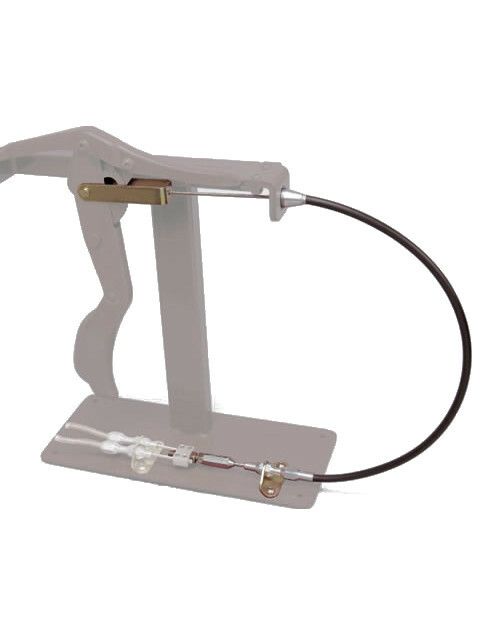 Kit includes a single 6 foot outer housing designed with a specially extruded liner that "U-Cut-to-Fit" and a 7 foot stainless steel inner cable which resists moisture. Kit comes equipped with quality aluminum fittings and adjuster. Ferrule is included to eliminate fraying of stainless housing. Lokar Connector Cables are designed to mount directly to the Under-the-Dash Foot Operated Emergency Brake and Under-the-Dash Hand Operated Emergency Brake and connect up with Lokar Universal Brake Cables. Cables are "U-Cut-to-Fit" and are 6 feet in length. Available in black or stainless housing. 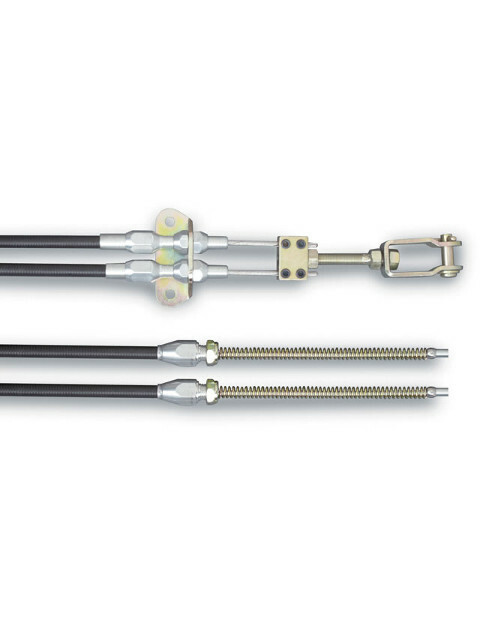 Lokar Clevis Kits adapt Lokar Emergency Brake Cable Kits for 1984-1987 Corvette, 1988 and later Corvette, Jag rear with Wilwood, Wilwood Disc, Wilwood Ford Explorer style with internal hub rears, and Baer brakes.